Durable 24-7 Dispatch Chairs seating for use with Command Watch and Command Tech dispatch consoles. Available in a wide variety of upholstery configurations and height requirements. 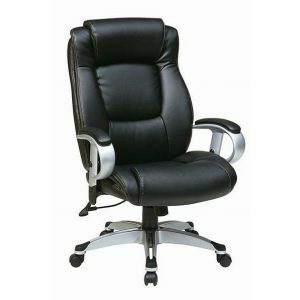 This contemporary network operation high-back executive chair is upholstered in black faux eco-leather, a type of leather infused with polyurethane for a softer-than-leather feel. Height adjustable arms with silver coated accents support forearms. Chair rolls smoothly on dual wheel carpet casters with a heavy-duty silver coated base with black end caps for added stability. 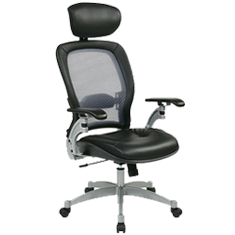 It features built-in lumbar support with adjustable tilt tension. Adjustable tilt tension offers greater stability and back support while you recline; allows the correct pressure for comfortable movement when reclining and leaning forward in the chair. 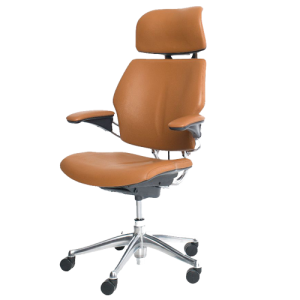 Chair also features one touch pneumatic seat height adjustment and tilt lock. The Light Air 7X24 network operator task chair is intended for the control room operation environment. The light Air mesh task chair with optional adjustable headrest was designed to meet the demanding needs of operators sitting for long periods of time. The chair offers thick padded mesh contour seating and a air grid back with adjustable lumbar support providing long-term back support. The Light Air also offers one touch pneumatic seat height adjustment and 2-to-1 synchro tilt control with adjustable tilt tension. The padded angled arm is height adjustable.